Heather is a native of the Dallas area. She grew up in Waxahachie. 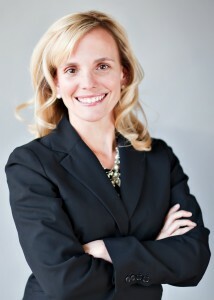 Heather attended Abilene Christian University where she earned her undergraduate degree in business management in 1997. She then attended Texas Tech School of Law where she received her law degree in 1999. During Law School, Heather was selected to clerk for the United States Bankruptcy Court for the Western District of Texas. She was also successful in competing in several mock trials competitions; was involved in student government and obtained several successful jury verdicts while working for the City of Lubbock Prosecutor’s Office during her third year of law school. Since receiving her law license in May 2000, Heather has practiced in both Dallas and Ellis counties. She has practiced in the areas of family law, bankruptcy law, business, banking law, probate law, estate planning, personal injury law, and real estate law. Since being an attorney, she has spoken at several CLE seminars around the state of Texas on various legal topics. Heather is recognized as one of Super Lawyer’s Rising Stars. While up to 5 percent of the lawyers in the state of Texas are named to Super Lawyers, no more than 2.5 percent are named to Rising Stars. Heather is a member of the State Bar of Texas, Dallas Bar Association, and the Ellis County Bar Association. She is a fellow of the Texas Bar Foundation. Heather is a past volunteer for CASA as an advocate for children’s rights. She participated in numerous successful jury trials for both plaintiffs and defendants. Heather is married to Brian and together they have two wonderful daughters. Heather sits on several local boards and is involved in various planning committees for her church, daughters’ schools, and her neighborhood association. She is also past member of he Junior League of Dallas. When she is not working, Heather enjoys traveling, running, and spending time with her family.